This week, we’re celebrating Mother’s Day at Sunday Supper. I thought about making Chicken Cordon Bleu, the first meal I really remember cooking for my mom, but I didn’t really feel like eating that. So I made a summer-y risotto topped with seared scallops and lemon salt instead. It doesn’t have any significance – I don’t think I’ve ever even seen my mom eat risotto – but it’s a decadent dish that’s the perfect way to pamper someone. Serve it up with a wedge of Lavender Dark Chocolate Tart and she’ll feel like a queen. In a small saucepan set over medium-high heat, bring the stock to a simmer. Reduce heat to low to keep warm. Add 1 tablespoon olive oil to a 3-quart pot over medium heat. Add the chopped onion and garlic; cook until soft – about 5 minutes. Add the rice and half the lemon zest; stir so that each grain of rice is coated with oil and appears glossy. Cook the rice for 3-4 minutes, or until it is mostly translucent. Stir in the wine, scraping up any bits that have hardened in the bottom of the pan. Add 1 cup of the warm stock. Stir constantly until all the stock has absorbed into the rice. Continue this process, adding the stock 1/4 cup at a time, until the rice is creamy and soft – the whole process will take about 20 minutes. Stir in the spinach, parmesan, and lemon juice, until the spinach is wilted. Heat the oil and butter in a small skillet over medium-high heat. When the butter is melted, add the scallops. Cook 2 to minutes on each side, or until golden brown and cooked through. Stir together 1/4 teaspoon of the remaining lemon zest with 1/4 teaspoon sea salt. Serve the scallops on top of the risotto. Sprinkle with lemon salt and season to taste with black pepper. If I could only get my husband to like risotto I would make it just about every week. I love it so much. Your lemony one with the scallops – oh la la!!! Heaven on a plate. Mmmm. Risotto is one of my all time favorite indulgences…and it is such a labor of love to create! I like the idea of a lemon risotto with seafood- great combo! I can never resist a good risotto. That looks luscious, and would be a great bed for any number of good things! Great recipe for #SundaySupper! I just love the combination of risotto and scallops. And lemon risotto is so smart! 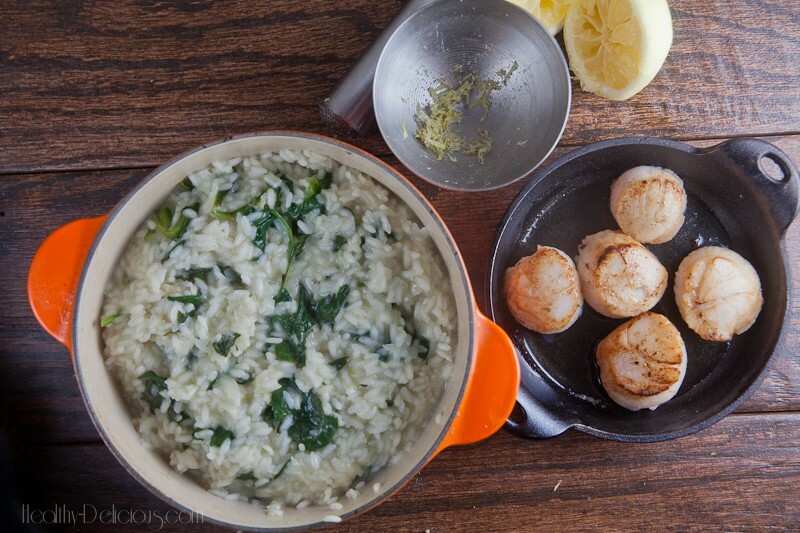 Your lemon risotto looks amazing, and those scallops!! They look like perfection. Sounds like a great combo! What a great dish! I love the idea of using lemon salt and really lemon risotto is just perfect. Lauren, this is the perfect springtime dish. 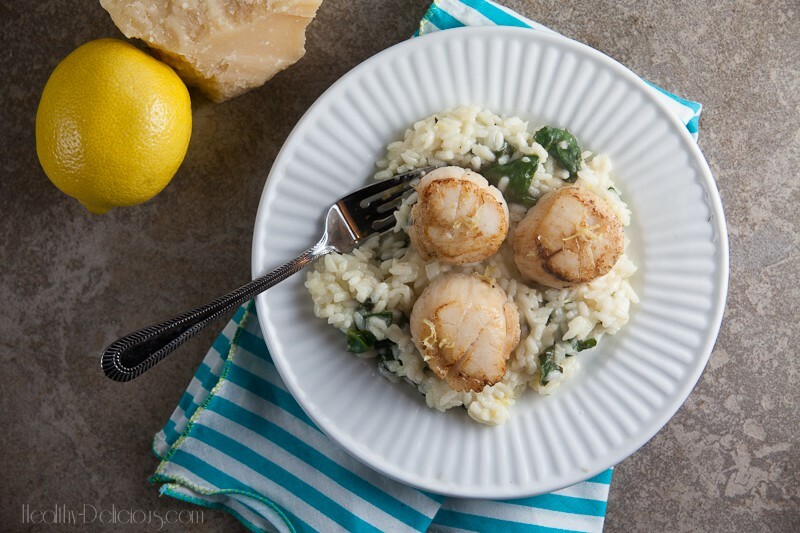 I love risotto (although I have yet to be brave enough to make it myself) and your scallops are seared to perfection! Your photos look so fresh and pretty! They really have me drooling. I can almost taste the crusty creamy contrast (bonus! alliteration!) of this dish. Beautiful scallops! I bet they pair perfectly with this risotto! Lemon risotto and scallops sound like a perfect combination. I’ve made vanilla and butternut squash risotto, but never tried lemon! I will have to add this to my “to make” list. Oh my, this sounds delightful. Lemon risotto just sounds like spring. Can’t wait to try it. Lemon, risotto and scallops?? You must have been channeling my mom this week! I was just thinking that I’d never made a risotto for my blog…and your lemon version looks fantastic. But even more enticing are your gorgeous scallops…perfect for this mother on Mother’s Day! My daughter would think she had died and gone to heaven eating this dish. She would love it and I will have to make it for her. Thanks for sharing!! What a refreshing way to have risotto – I love it. And PERFECT with the scallops ! My MIL just gave me a HUGE bag of lemons from her backyard. I think I know exactly how some of them are going to be used!! Lemon Risotto…swoon!! Any rice dish is great in my opinion, but risotto really takes the prize, and you get to make risotto cakes the next day! Lemon and spinach I have in my fridge right now, this is looking like a great dinner for me today. 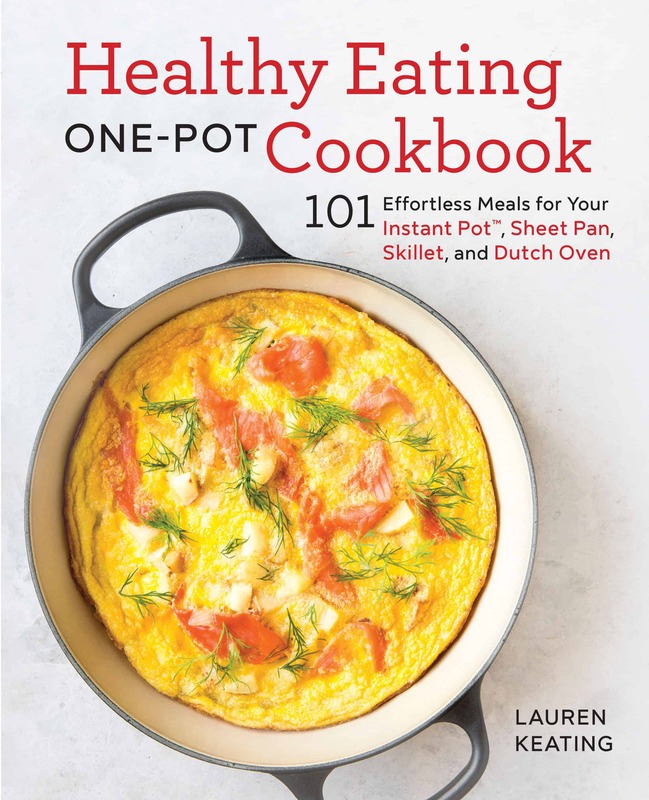 I love this, Lauren, its on my must make list! That would definitely be a meal fit for a queen! This risotto sounds amazing, I haven’t had scallops in far too long…this is making me hungry. Yummy! I have yet to make risotto, but now i must! Love the lemon flavor you have in it! Seared scallops – what a treat! And your lemon risotto sounds so fresh! What beautiful recipe to celebrate Mother’s Day! Your photography made it look even more delicious! 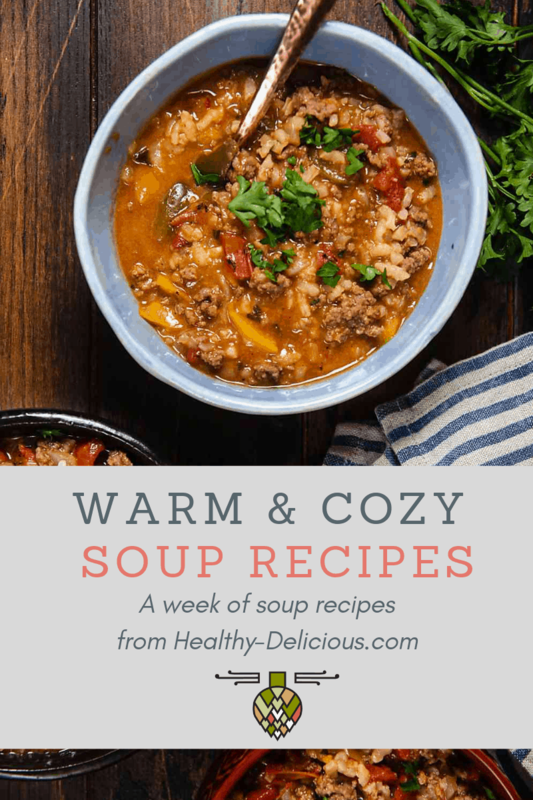 Love your recipes and your Sunday Supper inspiration! 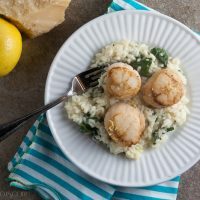 Lemon risotto sounds fabulous and I can just imagine how well it pairs with the seared scallops-YUM! I’ve never seen this kind of Risotto recipe. I’ve never tried using lemon when I cook something like this but just like what you’ve mentioned above I thought of cooking cordon bleu for mother’s day too. Anyway, I’m glad to let you know that I finally tried your recipe for my nephews and nieces who visited me and my wife for the mother’s day weekend. They enjoyed it so much that they said they’ll drop by again this coming weekend. Thank you so much for sharing this recipe and I hope you’ll share a healthy burrito recipe next time. I would love to try that as well. Last Question: What do you think about using cream cheese on a beef lasagna recipe?